its time to cast your vote for the 2018/19 player of the season. Give us your vote by filling in a form at our desk in the clubhouse. You must cast your vote by half-time on 22nd April when Darlington visit Nethermoor for the final game of the 2018/19 campaign. With the historic win against Cambridge in the Emirates FA Cup and some consistent performances it has been another hard season for The Lions. 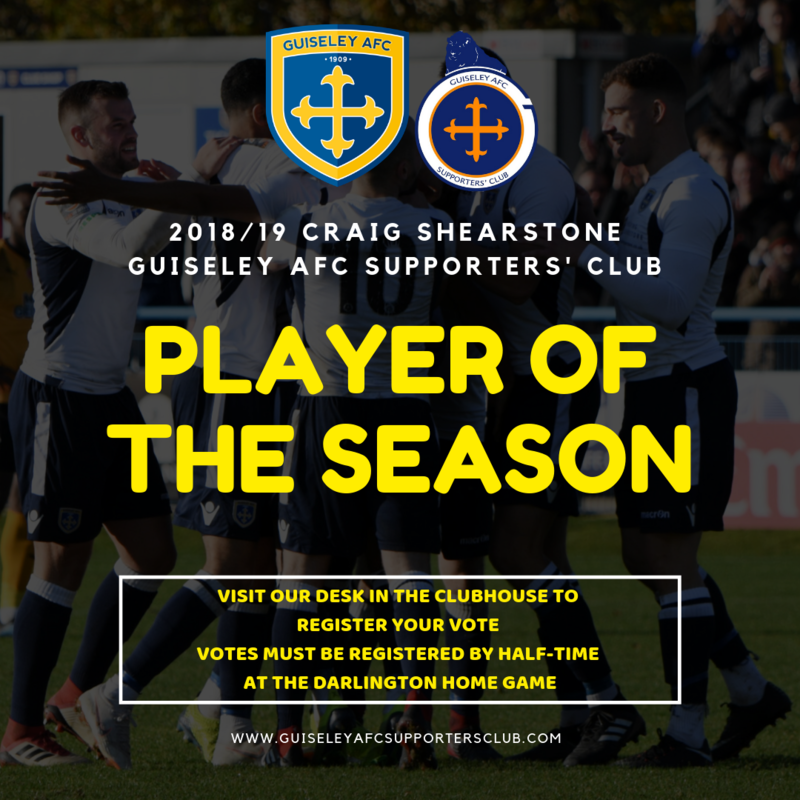 The winner of the Craig Shearstone Guiseley AFC Supporters' Club Player of the Season award will be announced on the pitch shortly after the final whistle of the Darlington home match.